This is the second half of my review of Sony's new PEG-SJ30. The first part was published a week or so ago, after I had only had a chance to test the device for a few days. Now that I've had more time, I'm ready to do a more complete review. I've covered the SJ30's screen, form factor, and Memory Stick slot already. If you are interested in those, you'll need to read the first part. I always test the battery life on handhelds the same way. First, I install an application named UpTime. This tracks the amount of time a handheld is active between each recharge. Then I use it normally, reading AvantGo, playing games, looking up phone numbers, that sort of thing. Because the major battery drain that is under the user's control is the backlight, I did several tests with the backlight set on different levels. With the backlight at half power, the first battery warning came after exactly 6 hours of use. I think this is the most realistic test, as most people tend to keep the backlight set somewhere near half power. With the backlight at full power, the first battery warning came after just 3 hours of use. Finally, I wanted to see what was the maximum time I could get. With the backlight at about one quarter power, which I consider the minimum, the first battery warning came after 9 and a half hours of use. I didn't try it with the backlight all the way down or off because I think the screen is to dim to be useful with the backlight below one quarter power. For a color handheld, this is very good battery life. If you keep the backlight on one quarter power, it will actually last longer than the monochrome SJ20 with its backlight on. As I mentioned in the first part of this review, the SJ30 has a standard speaker. This means it can't play polyphonic sounds like the T and NR series can. What I've realized as I've had a chance to use the SJ30 longer its speaker isn't very loud. In a side by side comparison, the SJ30's speaker was significantly less loud than an m500 series Palm. I don't think this is a fatal flaw but it can be a bit tough to hear alarms with the SJ30 in your pants pocket and there is some ambient noise, like in your car. I wouldn't have to include a section on the buttons if it weren't for the now infamous ones on Sony's T series. Fortunately, the application buttons on the SJ30 have nothing in common with the one on the T series, and are therefore fine. However, there is no space between the Date Book button and the Address Book button. On the other side, the To-Do List and Memo Pad buttons also touch. This can make it difficult to distinguish between buttons in fast-paced games. The Up/Down rocker switch is kind of small, which makes it not as easy to use as it could be. Still, these issues will only affect gamers. Average users won't have any problems. The Jog Dial is one of the handiest features you can put on a handheld. Together with the Back button, which is just underneath the Jog Dial, you can control much of the function of the SJ30 with just one hand. Sony has even gone the extra mile and added Jog Dial support to many of the built-in apps. Unfortunately, not all third-party apps are so cooperative. Don't get me wrong, most apps can use the Jog Dial in basic ways, like scrolling, but many could be rewritten to be much more Jog Dial friendly. Still, it is a great feature and one I'm glad Sony adds on all its models. The SJ30 comes with a nice selection of software. The most useful is Data Viz's Documents to Go Standard Edition 4.0. This will let you access Microsoft Word and Excel files on your handheld. You can't directly edit files in their original formats but the application comes with a Windows desktop app that will convert them into a format the handheld can display. You can make changes to the versions on the handheld and these changes will be made to the originals on your desktop the next time you HotSync. The greatest strength of Docs to Go is how well it handles the update process. The handheld doesn't show all the formatting, images, etc from the original files but neither does it delete these from the original when the changes you make are copied back. The SJ30 comes with a hi-res version of SheetToGo, Documents to Go's spreadsheet app. This lets you take full advantage of the hi-res screen for showing your data. Like I said earlier, this is version 4.0 of the standard edition, which isn't the latest. If you want to upgrade to 5.0 premier, you'll need to pay $30. This will get you some new features, like a PowerPoint viewer. Also included is a version of the World Alarm Clock that comes with other Sony models. Naturally, it can't play the polyphonic tones the version of this app that comes on the T series can. The SJ30 also comes with a copy of gMovie for showing videos. This is pretty much pointless because if you want to show videos on your handheld, you should get a copy of the free application Kinoma Player. This is the successor to gMovie and runs in hi-res, unlike its predecessor. One thing to be aware of with this model is most of the Kinoma videos you'll find online that have been encoded for the hi-res screen assume you also have the enhanced speaker from the T series and therefore have no sound when played on the SJ30. The SJ30 uses a standard 33 MHz Dragonball processor. That's fast enough for anything you'll need to do, and most things you want to do. If you want to play some of the really high-end games, though, I'd suggest you spring for a high-end model with a 66 MHz processor. It runs Palm OS 4.1 and don't expect to upgrade this model to Palm OS 5. That new version of the operating system is only for handhelds based on a completely different kind of processor. The SJ30 has 16 MB of RAM, which is a good amount. Actually, it is the most the current generation of Palm OS handhelds can have. It should provide you with plenty of space for storing applications and files. If you need more storage space, get a Memory Stick; that's why the SJ30 has that slot. One of the ways Sony saved money on the SJ30 is it doesn't come with a cradle. Instead, it has a pair of cables, one for power and the other for data. You can plug both of them into the handheld at the same time. Personally, I like a cradle but, if this is really important to you, you can buy one. It also uses the standard Sony stylus, which I'm not fond of. It is really thin and gets painful to write with after a while. I understand why Sony uses it. It was designed to fit in super slim models and Sony has made the decision that its peripherals will be interchangeable as much as possible. But I still think it is too thin. The SJ30's flip cover is a pale gray and clips to the back then stretches over the top and then down the front of the handheld. This means it gives some protection to the Memory Stick slot and Power button. Sony has redesigned the clip for this and it is much easier to put on and take off than earlier Sony flip covers. This model uses Sony's standard HotSync connector so it can use most peripherals designed to hook to this port, like the new keyboards. The HotSync port isn't the only way peripherals can be connected. There are also some designed to plug in the Memory Stick slot, like a digital camera. The SJ30 can use any of these, including the Bluetooth networking card. As with all Sony handhelds, the SJ30 doesn't support the Apple Macintosh. Probably the best thing Mac users can do is get a copy of Mark/Space's The Missing Sync, which duplicates the features of Sony's desktop app on your trusty Macintosh, even if you are running OS X.
I wish this wasn't necessary. Sony is the only Palm OS licensee that doesn't directly support Mac users. I like the SJ30. It is a good combination of features for a good price. It compares well with other mid-range models, like the Treo 90 and Palm m130. It has a few drawbacks, like the weak speaker, but its strengths make up for them, especially the hi-res screen. Excellent as any review from you Ed. I guess you rush this out while cleanning the to do list before moving to brighthand!!! Notably absent is Ed's reply to this. After reading this review over the weekend, I felt very strongly that the SJ30 would be an excellent replacement for my aging 72Mbyte Prism (w/CF Memplug). Off to Best Buy! Numerous hard resets over the last week spurred me on, but the Prism's battery is on its last legs. So far, I'm very satisfied after the first two days of my migration. The bad news: Haven't got any to report at this point. So thanks for the great review. I know this model is the last one, but I can't help comparing it to the T615. The fact is, I'm returning my wife's m130, so I'll get 300 euros back... and for 280 I can get a T615, for 320 an SJ30. What would YOU get? I mean, the T615 has the anhanced speaker and IR ports, is smaller, ... is there any drawback I do not know of? Btw, I HATE doing this to palm by returning the m130. but I can't help it. I'm a geek. I NEED to buy new things regularly, and this is a golden oportunity! I'll get the 615... or just wait 3 months for the T665 at a reduced price. been a geek and a sony fan means you will be spending money 4 times a year!! See which one is more important to you, and get it! Personally I'll get SJ30 -- screen & battery life are the top two features of a PDA. don't forget that the SJ30 has better buttons also!! I love the buttons on the 615, they just look and feel cool. The up/down rocker doesn't bother me at all. I play games on it all the time. Wait for the SJ40(!). According to sony's product cycle, it should be out in approx. 4 weeks. Well, It's clear that I want to buy something NOW, not wait 4 weeks. If I was to wait, I'd wait forever! 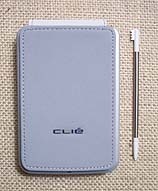 Any T615 users: does it come with Clié Mail (app + conduit)??? I just picked up an NR70v. Very happy with it. I grabbed a T615 about 3 days before that, and ended up returning it. I was actually very annoyed with how washed out all the colors were. I know it's not a big deal to anyone else, but it really bugged me. If you're going from an m130 to a T615, the washed out colors will really piss you off. From what I hear, the SJ30 has a much better screen. The colors still aren't as vibrant, but if it's on par with the NR70v, you'll be happy. The enhanced speaker is ok, but I've really got to import my own wav files. If I don't get around to that, then it's completely useless to me, since the included sounds are very annoying. After playing with the T615, my choice would be the SJ30. Plus, I think the SJ30 has 16mb of RAM, doesn't it? If not, I'd still go with it. Those of you considering a T615: I just picked one up and was horrified when I looked at the "color" screen. Believe all that you've heard about how muddy the colors look. A friend of mine looked at a picture and asked if it was actually a black and white picture and not color! I've seen the colors on the m130. They are gorgeous compared to the 615. No kidding. In fact, I'd be tempted to take an m130 over the 615 for that reason - even though the screen is at half the resolution. PLUS - the m130 is totally usable indoors without the backlight on. The 615 is un-usable without the backlight indoors. Based on Ed's review, the Sj30 looks to have the same screen as the 665. I haven't seen either screen myself. However, I have talked with people who have seen the 665 screen and agree with Ed in saying that it does not have the muddy colors of the 615. If you care at all about color on your supposedly 65,536 color, high res 320x320, full color screen (and you should) skip the 615 and seriously look at the sj30. I've already returned my 615. All you have to do, is use Palm Desktop 4. The real problem is Sony's negligence of providing this on the CD. Enjoy the Clié. Actually, HandEra isn't too swift with their Mac support. None of the included apps works with a Mac. Hard to blame HandEra for QuickOffice not having a Mac conduit. Otherwise they work fine with a Mac. It has been tested to work with Palm Desktop for OSX. This is stupid on Sony's part for not marketing this fact or at least offering this app on cd. I believe the Sony palm's are the best out there and if anyone is looking for a low cost color model to replace older monochrome palm's. 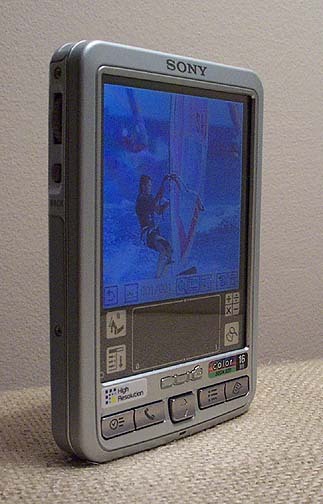 The Palm Desktop does not have all the features of the Sony version of the desktop. You can't use MS Import, for example. The Missing Sync does a much better job. Perhaps a better description would be that Sony doesn't support using Macs with their handhelds. If you run into problems with a SJ30 and a Mac, Sony won't help you. If you have The Missing Sync, you can get support from Mark/Space. The fact that the Palm Desktop for OS X works with most Sony models is entirely as a result of work by engineers at Palm Inc., not because of Sony. Also, as someone pointed out already, the Palm Desktop for OS X doesn't support all the features of The Missing Sync. You can get a regular HotSync, but you can't mount a Memory Stick on your desktop. I'm not sure if there are others. Why doesn't SONY simply license the Missing Sync and get with the Mac program?! On the other hand, if you already have the Palm Desktop or download it from the Palm web site palm.com, you'll be generally set!! >models, like the Treo 90 and SJ30. SJ30 compared to SJ30? Are you mean SJ20? BTW, I have preordered SJ20 but want to upgrade to SJ30. Alas, the distributor in Singapore don't allow me to change my pre-order to SJ30. Well, I guess I can live with SJ20. My question is SJ20 suffered the same weak sound too? And since SJ30 can change backlight power, can SJ20 do it too? Huh?? I think upgrading shouldn't be a problem. I did just that. Pre-ordered the SJ20 but upgraded to SJ30 after viewing the 2 units at wisma sony gallery. Just called them up and told them i wanna change my order. I even got the unit on 6th Sep, 4 days ahead of the supposed delivery date on the 10th. Anyway, i think the upgrade is well worth it. Go for it! > SJ30 compared to SJ30? Are you mean SJ20? I meant to say the Palm m130. Sorry, I was at the NetWorld+Interop conference all day and couldn't fix this typo. > My question is SJ20 suffered the same weak sound too? I'll check for you tomorrow. It's midnight here, my wife will shoot me if I start playing around with alarms. > And since SJ30 can change backlight power, can SJ20 do it too? Ed, is SJ20 backlight is blueish too or bright/pure white? And have you tried using Cruise Control or Afterburner to turn-off waitstate to see if the ghosting disappear? I have never seen this ghosting, though. But I think I'll get annoyed with it. and continue this dicussion there. I just did a side by side test and, much to my surprise , the SJ20's speaker is noticeably louder than the SJ30's, though not as loud as an m505's. Is 16Mb the limit of OS4? 16Mb Internal RAM the limit of OS4? That seems to be what Ed implied in the article. Is it? RE: Is 16Mb the limit of OS4? The 16mb limit is due to the maximum amount of RAM the Dragonball processor can address. I don't think this is an accurate statement. My understanding is that the limitation on 16MB is caused by the processor not the Palm OS. For example, there was a time when the max memory a Palm device could have was 8MB and the limit was due to the fact that the Dragonball processor used in Palm's at the time could only address a maximum of 8MB. I doubt strongly the ARM based processors of the OS5 devices will be only able to address 16MB of RAM. But don't all the rumours thus far regarding the Oslo (or whatever it's called) claim that it'll still have only 16 megs of ram? I don't know about you folks, but i'd really rather have 32 megs of ram and a 66 mhz dragonball and os 4.1 (even though I know it's technically not possible) than an ARM-based OS5 model with the same skimpy amount of ram we've already got...SD cards are nice for occasional storage but it's maddening trying to repeatedly access large amounts of data. > claim that it'll still have only 16 megs of ram? Actually, the one feature of Oslo/Tungsten I have totally been unable to get any info about is its RAM. And I'm not alone. I think I've read every rumor on every site about it and not one of them I have seen has been able to come up with how much RAM it has. If someone can point me to one I've missed that does give the amount of RAM, I'd be very grateful. What ever happened to hard screen covers? I really liked the hard cover on my Palm IIIxe. I think small models like the SJ30 would gain a lot more "on-the-go pocketability" if they were given a scratch-resistant pebbled plastic casing (like the Palm III series...the pebbled surface hides scratches well) and a hard cover. 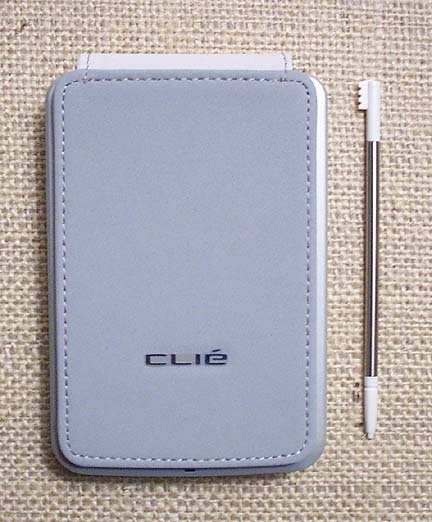 I love my N610 and its EB leather case but I find myself leaving it home a lot when I'm not taking a bag or pack with me. It's simply to heavy and bulky for my pants pockets. I have an extended warranty on my Palm that covers screen replacement--even if it falls out of my pocket, Palm will replace the device. Does Sony have such a thing? Do any of the major marketers have it? The Circuit City warranty info I got and confirmation from the sales person is that they do NOT cover accidental drops or screen replacements of any type! RE: What ever happened to hard screen covers? CompUSA has a warranty that covers anything at all. At least, that is how my local store honors it and being such a chain I would think others would as well. Ed what Os are you using? I use XP and have problems hotsyncing from day 1. Hotsync proceeds properly an d the windows conduit ends gracefully but the SJ30 would freeze right after and I have to soft reset every time... It's not a major problem but is certainly a nuisance. I have this trouble with ME and a 760. By any chance are you useing Mobimate's World Mate? I don't have to trouble if I disable that conduit.